San Antonio is home to Dr. Vivian Bucay, M.D., her husband Moises Bucay, a cardiologist and their three daughters. Dr. Bucay is recognized nationally for her expertise in minimally invasive facial rejuvenation through the combined use of neuromodulators, injectable dermal fillers, and skin resurfacing, Considered to be one of the pre-eminent dermatologists in the country, Dr. Bucay’s credentials span a wide scope of biomedical research, patient care, and medical education. Licensed in both the United States and Mexico, she is a Phi Beta Kappa graduate of the Johns Hopkins University, completing her undergraduate studies in 1983 while serving as a research assistant at the Johns Hopkins Oncology Center. She earned her MD in 1987 from Houston-based Baylor College of Medicine. After completing an internship in pediatrics in 1988, Dr. Bucay began a residency in dermatology at The University of Miami School of Medicine which she then completed at Baylor College of Medicine in 1991.
educational initiatives in the USA. She is sought for speaking engagements and has been featured as a keynote speaker across the globe on a wide scope of topics ranging from innovations in facial aesthetics to neuromodulators to cancer survival. A personal battle with stage 4 melanoma, one of the deadliest forms of skin cancer, has enabled Dr. Bucay to connect with her patients in a unique way. Dr. Bucay’s patient empathy is borne of the mental, social, and physical challenges she experienced as a patient in her fight with cancer. Cancer free since August 2007, her victory has been an inspiration to her patients. Passionate about skin wellness; Dr. Bucay has been featured as a skin expert in several publications, including Allure, Cosmetic Surgery Times, Elle, More, Shape, Men's Health, Glamour, Redbook, Prevention, and Good Housekeeping. 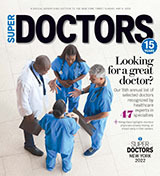 Since 2004, Dr. Bucay has been recognized yearly as a Texas Super Doctor by Texas Monthly Magazine. Dr. Bucay is a Distinguished Physician Member of the Liquid Face Lift Association and is the author or co-author of many publications and is involved in several studies evaluating emerging cosmeceuticals. On a community level, Dr.Bucay is actively involved with Respite Care: A San Antonio-based organization, Respite Care of San Antonio, Inc., was founded in 1987 to provide support for families caring for a child or loved one with developmental disabilities. The original mission, to enhance the stability and nurturing opportunities of these families, is fulfilled through the provision of community-based and overnight shelter services designed to give short-term relief to participating parents. In 1997 the mission expanded to provide care for children with special needs from throughout the state who have been taken into protective custody as a result of abuse and neglect. Dr.Bucay has helped raise awareness for this worthwhile cause through fundraising efforts as an honoree for the North Star Gives initiative. She continues her efforts in raising funds and awareness by partnering with AnArte Gallery in San Antonio. What you hold in your hands or read on your screen is a massive ode to the majority vote. In a world where decision making is messy, in a year when we will use and arcane system to pick our country's next leader, the majority vote is simple and clean and cutthroat. And it is how we assembled the winners of Best of San Antonio 2016. The Patient Institute - Educating Patients. Empowering You. Dr. Bucay was honored for using her experiences as patients to educate and advocate for others requiring similar care. Vivian Bucay, M.D. Vivian, a renowned dermatologist, had been diagnosed with Melanoma, the deadliest form of skin cancer. Vivian went on to tell the story of her self-diagnosis, her treatments, finding out that the Melanoma was Stage four and had spread to her lungs, and the irony of her being a doctor suffering with the disease that she is meant to diagnose in others. She mentioned that she writes articles and gives lectures throughout the world about her experience. Dr. Bucay has been blessed with being cancer-free and having good prognoses. The Patient Institute educates patients and provides them with tools that they need to more successfully navigate the healthcare system! SAN ANTONIO (February 7, 2014) — North Star Gives, presented by North Star Mall in partnership with Saks Fifth Avenue honors people who crusade for public good, 6 to 8 p.m., Thursday, March 20, in the Saks Fifth Avenue wing. The eight women and men being recognized this year include: Suhail Arastu, Musical Bridges Around the World; Di-Anna Arias, Time Dollar Community Garden; Louis Barrios, Viola's Huge Heart; Peggy Brink, Care; Dr. Vivian Bucay, Respite Care; Jason Cox, Marrow Me; Katy Flato, San Antonio Public Library Foundation; and Beth Webster-Wright, The San Antonio Furniture Bank. Now in its fourth year, the annual spring event celebrates champions of change who affect our community in a rich kaleidoscope of ways. Whether driven by personal quests or just a sincere desire to make a difference, the people honored set inspiring examples of the meaning of volunteerism and advancing the quality of life for others. Respite Care provides services to enhance the stability and the nurturing opportunities of families caring for a loved one with a developmental disability. Respite Care is a place for parents and families to regroup from the constant pressures of care and caring. It is a place where their children – who don't quite 'fit in' by some definitions – can participate, be cared for and be celebrated for the individuals they are. Respite Care has also become a safe haven for children who have been victims of abuse or neglect. Encompassing a series of services and programs administered by professionally trained caregivers in multiple locations throughout San Antonio, Respite Care offers full-service child daycare, an emergency shelter, foster placement and part time day out programs. Most programs are for the child with special needs, as well as siblings. To support this great cause visit www.drvivianbucay.com. Television “Un Nuevo Dia” — Discussed Facial Rejuvenation using laser resurfacing. June 1998, Mexico City, Mexico. Dermatology Nurses Association monthly meeting. Discussed Tazarotene in the treatment of acne vulgaris. Houston, Texas. August 2000. Headed Round Table Discussion of Tazarotene in the treatment of acne vulgaris and anti- aging. New Orleans, Louisiana. September 2000. Skin Disease Education Foundation Meeting – Women’s and Pediatric Dermatology: “The Evolving Use of Botulinum Toxin and Fillers in Facial Rejuvenation.” San Antonio, Texas, September 2006. Keynote Speaker at the KLRN Women’s Health Conference, Laredo, Texas. January 2007. Co-chair for CME-approved course, “Shaping the Course of Aesthetic Medicine: Advanced Techniques.” San Antonio, Texas, February 2007. Keynote Speaker at the Annual Women in Medicine Dinner of the Bexar County Medical Society, San Antonio, Texas, September 2007. Medscape Education Dermatology CME Videos (3). “Aesthetic Use of Neurotoxins: Safety and Informed Consent,” December 28, 2010. “Doses and Units in the Aesthetic use of Neurotoxins,” January 28, 2011. “Patient Satisfaction During Aesthetic Neurotoxin Treatment,” February 22, 2011. Poster, “A case report of lignin peroxidase lotion used to treat post-inflammatory hyperpigmentation in skin type V,” presented at the Skin of Color Seminar Series, New York City, May 14, 2011. Wasserteil, V. Bruce, 5: Fever and hypotrichosis in a newborn. Arch Dermatol. 1986. 122:1325-1330. Wasserteil, V. Bruce, 5: Ricardi, VM: Non-von Recklinghausen’s neurofibromatosis presenting as hemifacial neurofibromas and contralateral cafd-au-lait- spots. J Am Acad Dermatol, 1987. 16:1090-1096. Wasserteil, V. Jimenez-Acosta, FJ. Kerdel, FA: Disseminated histoplasmosis presenting as a rosacea-like eruption in a patient with the acquired immunodeficiency syndrome. Inter. J. Dermatol. 1990.29:649-651. Mertz, PM. Marshall, DA. Cazzaniga, AL. Wasserteil, V. Eaglstein, WH: The effects of a new antimicrobial peptide magainin on pseudomonas aeruginosa proliferation in wounds (Abstract). J Invest Dermatol. 1990. 94:555. Wasserteil, V. Bruce, S: Fievre et hypotrichose chez un noouveau-ne. Les cases cliniques des archives of dermatology. 1990. 2:19-21. Wasserteil, V. Bruce, 5, Sessoms SL, et al. Pyoderma gangrenosum treated with hyperbaric oxygen therapy. Int J Dermatol 1992. 31:594-6. Bucay, V: Building the Skin Care Regimen: Choosing the right ingredients. Practical Dermatology. Feb. 2011, p. 31-38. Maas C, Kane MAC, Bucay VW, et al. Current Aesthetic Use of AbobotulinumtoxinA in Clinical Practice: An Evidence-Based Consensus Review. Aesthet Surg J 2012; 32:8S-29S. Bucay VW, Day D. Adjunctive Skin Care of the Periorbital Region and Brow. Clin Plastic Surg, 2013; 40: 225-236. Vega JM, Bucay VW, Mayoral FA. Prospective, Multicenter Study to Determine the Safety and Efficacy of a Unique Radiofrequency Device for Moderate to Severe Hand Wrinkles. J Drugs Dermatol. 2013; 12(1): 24-26. Wasserteil, V. Jimenez- Acosta, FJ. Kerdel, FA: Disseminated Histoplasmosis Resembling Rosacea in a Patient with AIDS. Gross and Microscopic Symposium. 48” Annual Meeting of the American Academy of Dermatology. December 2, 1989. Wasserteil, V. Bruce, S. Fehir, K. Sessoms, 5: Dermatomyositis- like Eruption Associated with Chemotherapy for Non-Hodgkin’s Lymphoma. 22 Annual Meeting of the South Central Dermatology Congress. January 28, 1990. Wasserteil, V. Levy, ML: Benign Cephalic Histiocytosis. Gross and Microscopic Symposium. 49th Annual Meeting of the American Academy of Dermatology. December 1, 1990. Mertz, PM. Marshall, DA. Cazzaniga, AL. Wasserteil, V. Berkowitz, B: Effect of a topical magainin on Pseudomonas aeruginosa proliferation in wounds. (Poster) American Society of investigative Dermatology. May 2-5, 1990. Mertz, PM. Marshall, DA. Cazzaniga, AL. Wasserteil, V. Eaglstein, WH. Berkowitz, B: Effect of a topical magainin on Pseudomonas aeruginosa proliferation in wounds. (Poster) American Society of Microbiology. May 1990. Mertz, PM. Marshall, DA. Cazzaniga, AL Wasserteil, V. Eaglstein, WH. Berkowitz, B: Effect of a topical magainin on Pseudomonas aeruginosa proliferation in wounds. (Poster) 49th Annual Academy of Dermatology. December 1-6, 1990. Enzyme Kinetics and the Relationship of Beta-Glucuronnidase Release to Platelet Viability in Stored and Frozen Platelet Concentrates (under J.P. Hester, M.D.). Summer Program in Biomedical sciences at M.D. Anderson Hospital and Tumor Institute, Houston, Texas. 1979. The effects of Anticoagulants on in vitro Lymphocyte Transformation (under J.P. Hester, M.D.). M.D. Anderson Hospital and Tumor Institute, Houston, Texas. 1980-1981. Research Assistant at the Johns Hopkins Oncology Center, Baltimore, M.D. (under R, Tucker, M.D., Ph D.) 1982-1983. Androgen Receptors in Becker’s Nevus (under S. Bruce, M.D.). Baylor College of Medicine, Houston, Texas. 1986. Topical Magainins in the Treatment of Infected Skin Wounds (under William H. Eaglstein, M.D.) University of Miami School of Medicine, Department of Dermatology, Miami, Florida 1988-1989. An open-label. Non-Controlled Study of Calcipotriol (MC903/bmy 30434) Ointment (0.005%) in the Long-Term Treatment of Plaque Psoriasis. Baylor College of Medicine. Houston, Texas. Controlled Trial Comparing Sulconazole Nitrate/Hydrocortisone Valerate Gel, Sulconazole Nitrate Gel and Hydrocortisone Valerate Gel in the Treatment of Tinea Pedis. Baylor College of Medicine. Houston, Texas. Double Blind, Bilateral, Paired Comparison Study of Ultravate Ointment 0.05% in the Treatment of Plaque Psoriasis. Baylor College of Medicine. Houston, Texas. Prospective, Multicenter Study to determine the Safety and Efficacy of a Unique Rediofrequency Device on Moderate to Severe Hand Wrinkles. Miami, Florida and San Antonio, Texas, 2011.